This was the first Chaos Warrior I really wanted as a kid back in 1985. One of my brothers had bought me the SS3 Knights of Chaos box set but when I spotted this amongst the newer C35 releases in the Third Compendium it was instantly on my want list. My regular Saturday morning trips to the local Model Shop finally revealed a C35 blister with this chap in it, alongside ‘Nud Spinespittle’ and ‘Bone Racker’. 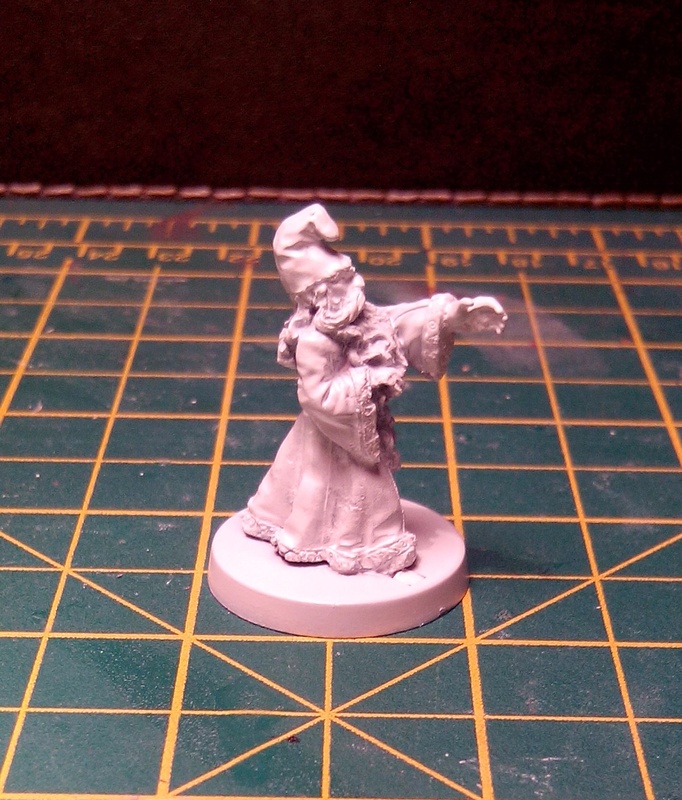 ‘Bone Racker’ was a poor sculpt and to make matters worse mine was badly cast. 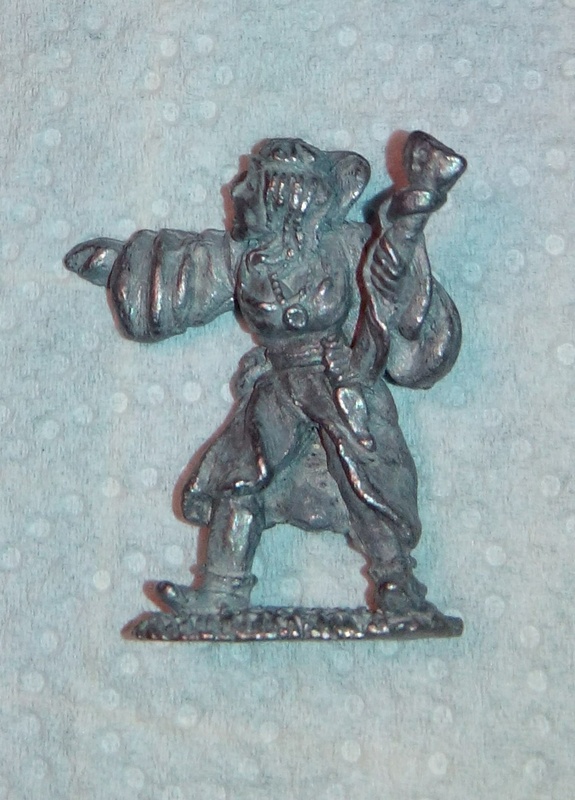 ‘Nud Spinespittle’ was more of a precursor to the Chaos Thug sculpts (aka Marauders nowadays) than a Warrior to my mind. But I wanted Daethskar so I bit the bullet and parted with my £1.95. It wasn’t a bad return, all three of them remained in my original collection for 18 years until 2003. 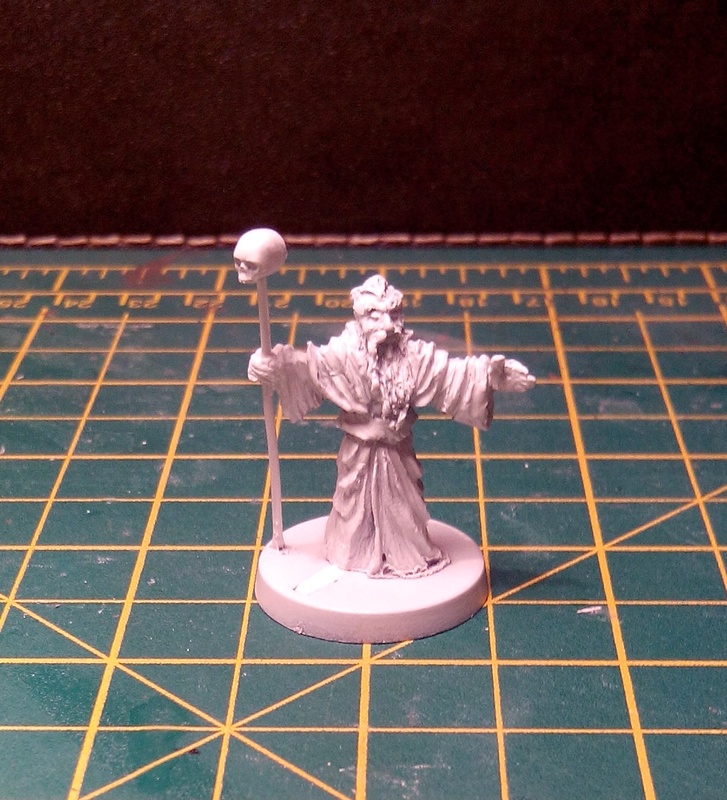 So when it came to look for leader miniatures for my Chaos/Evil Warband I couldn’t resist buying him and putting him back into service for the Dark Gods. 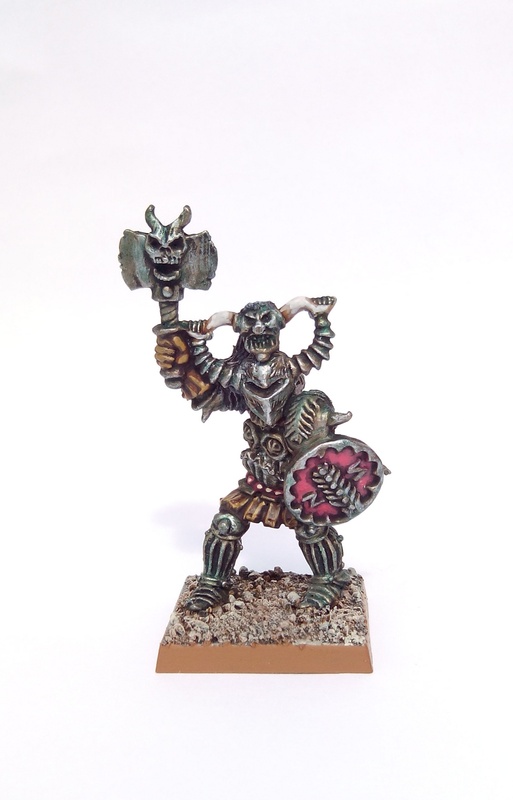 This entry was posted in 1985-1990 and tagged C35 Chaos Warriors, Citadel, Daethskar, Oldhammer on August 23, 2015 by Hobgoblin Orange. 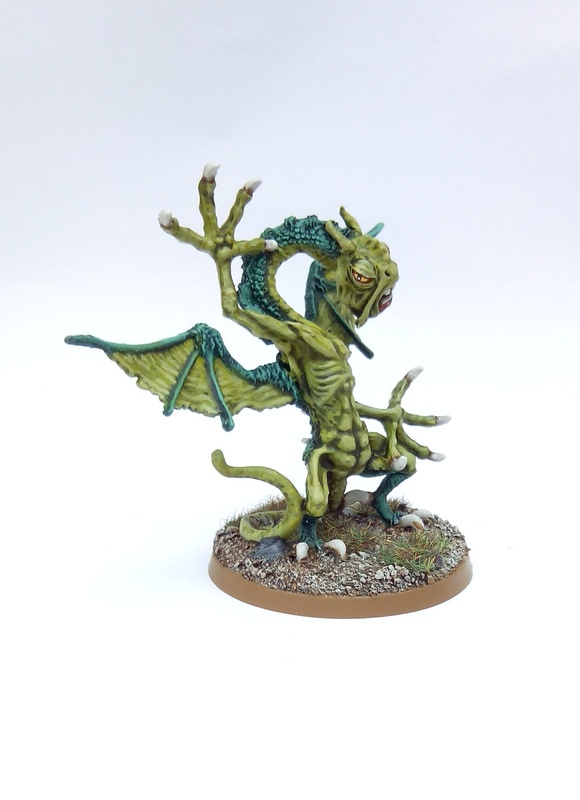 Beware the (Ral Partha) Jabberwock, my son! Jabberwocky is of course a nonsense poem by Lewis Carroll that appears in his 1871 novel ‘Through the Looking-Glass’. More importantly though is Sir John Tenniel’s original illustration that appeared in Carroll’s novel. The two Jabberwock sculpts made by Ral Partha and Citadel in the 80s (the ‘rearing up’ Ral Partha sculpt and the ‘walking on all fours’ version by Citadel) faithfully follow Tenniel’s drawing in pretty much every detail except the vest. I suspect the Jabberwock made it into early Fantasy RPGs/Wargaming entirely due to this picture. Had the Bandersnatch or Jubjub bird been illustrated by Tenniel in such a manner maybe they would have made it into miniature form too. 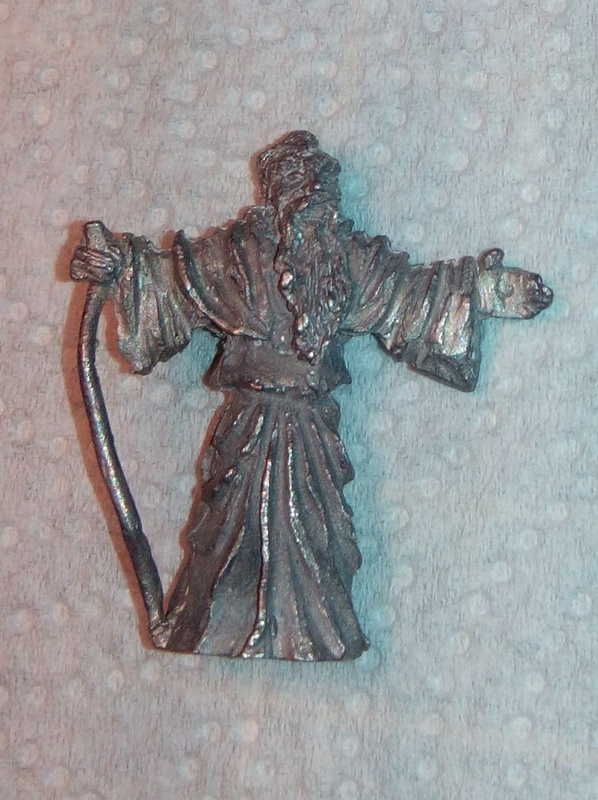 The Citadel version is less dynamic than the Ral Partha sculpt but it still has charm. It’s been OOP for a few years now but you can still find used ones on eBay occasionally, usually for sensible prices too. 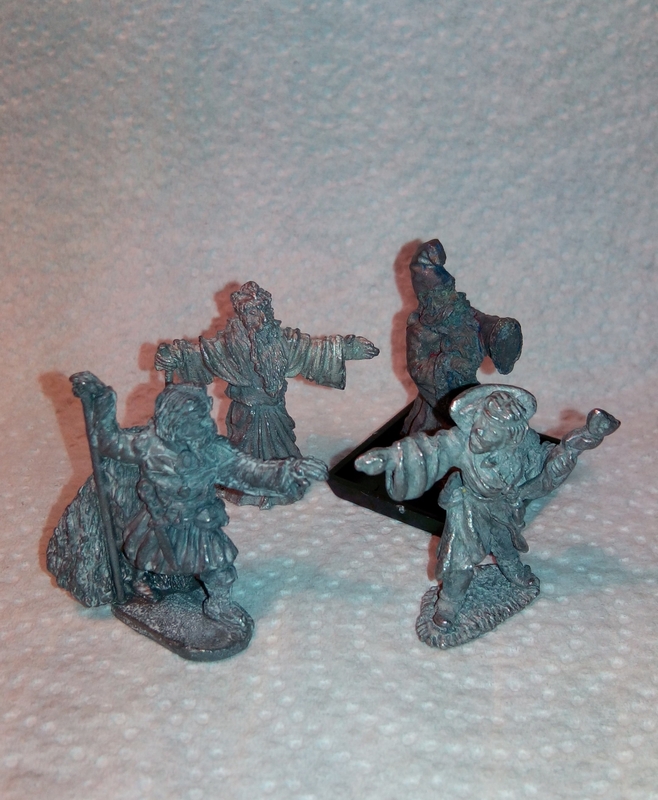 Most people however seem to favour the Ral Partha miniature. 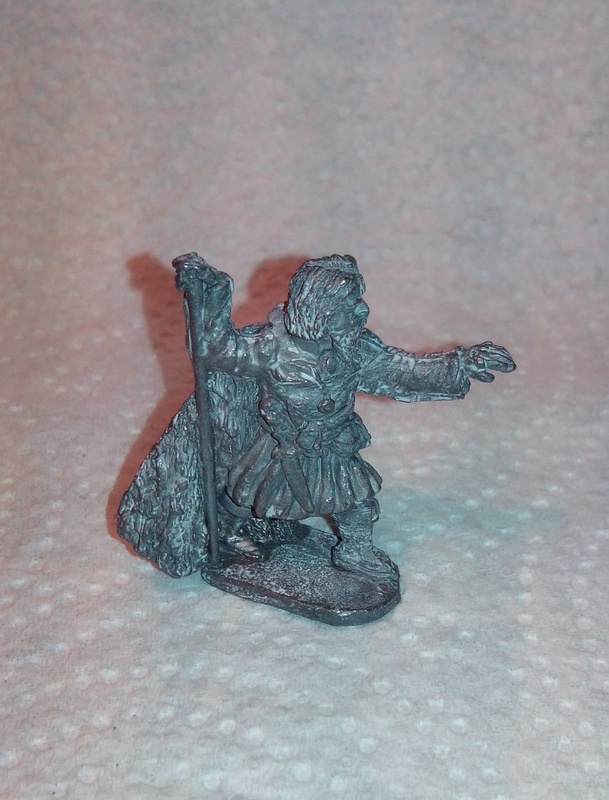 I bought it new for 8 quid from Ral Partha Europe a couple of months ago. 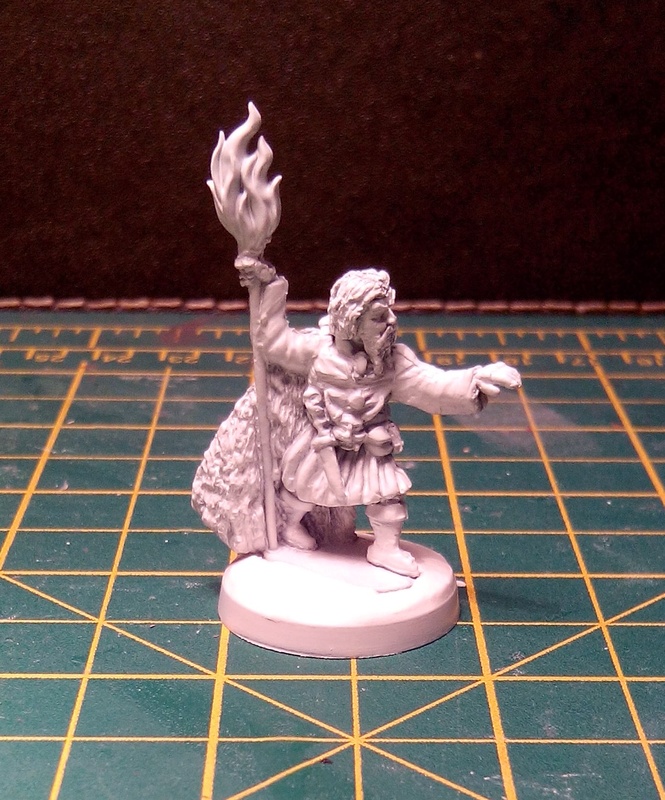 It’s in production (and was available from previous licensees of the model prior to Ral Partha’s re-release) so there’s no reason to pay over the odds should one of these float your boat. 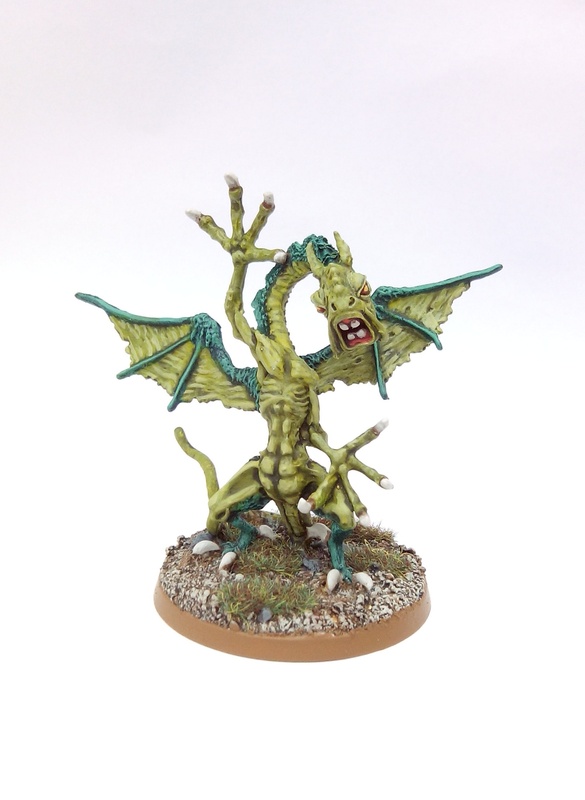 This entry was posted in Pre-1985 and tagged Citadel, Jabberwock, Ral Partha on August 17, 2015 by Hobgoblin Orange. 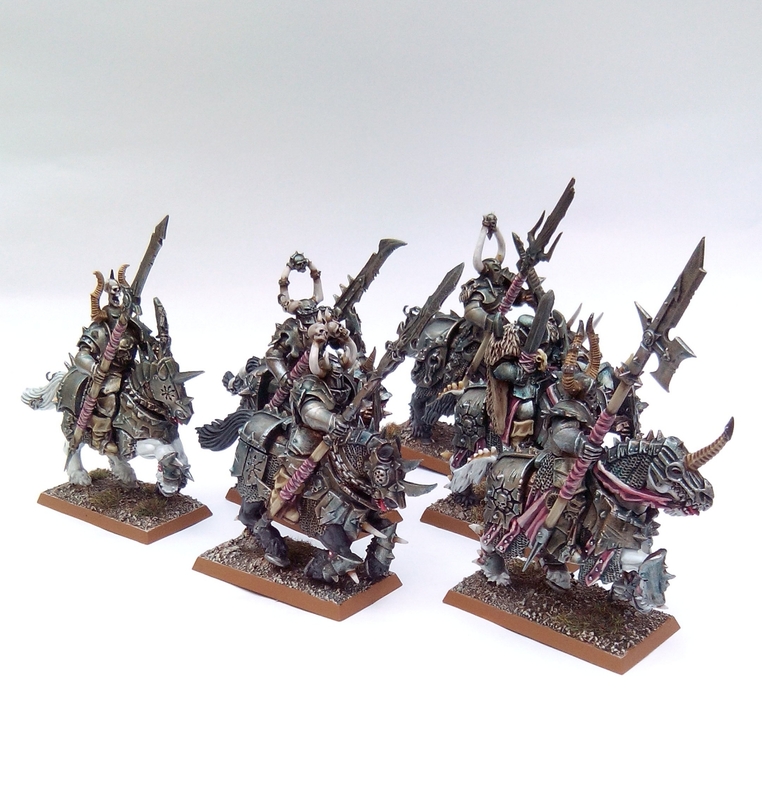 This is a unit I bought at the end of last year cheaply off eBay – I paid about half what GW charge so I felt like I got a bit of a bargain, although I have to admit I’ve kept putting off making it up. 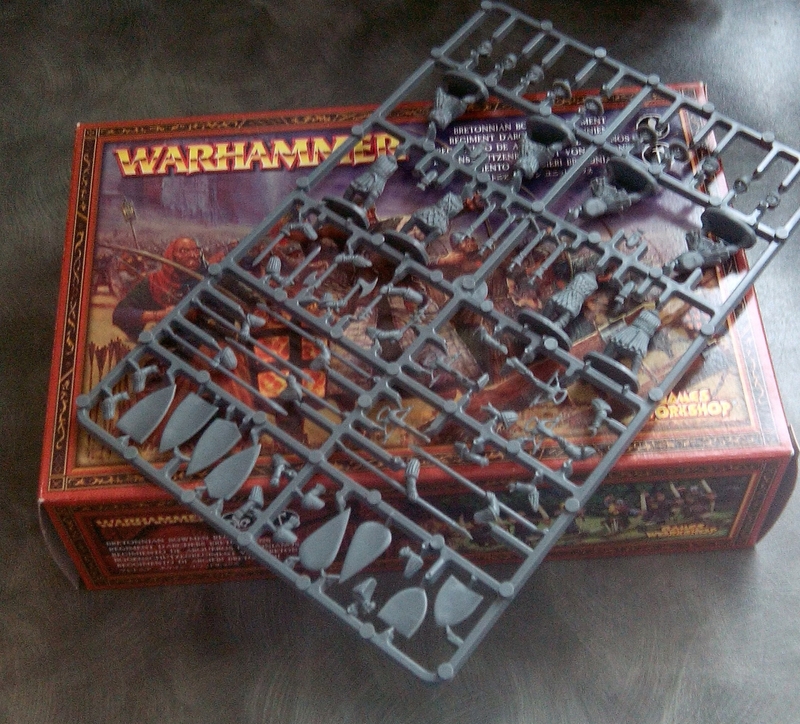 The box sat on the shelf staring accusingly at me every time I passed it but it’s time finally came for assembly and paint to join the Chaos/Evil Warband. 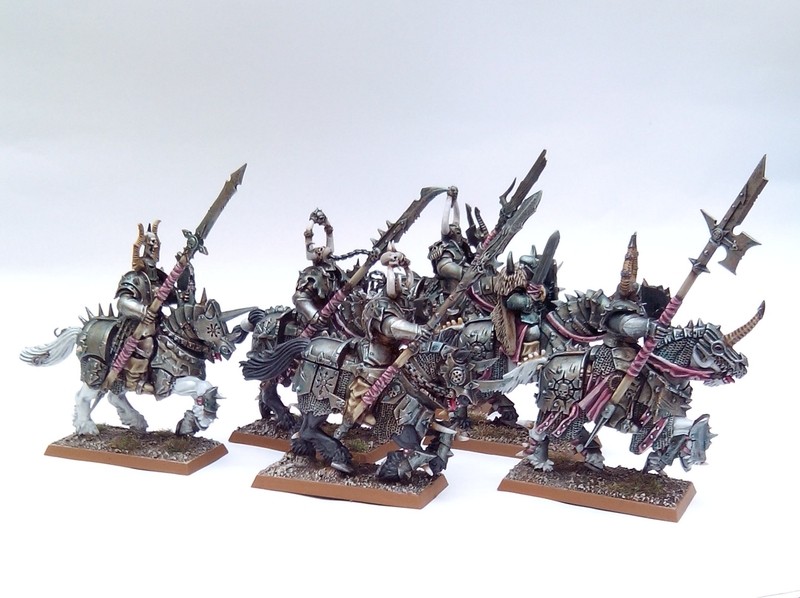 I had an extra metal Chaos Knight that I’d experimented with the metallic finish on prior to painting the whole unit. I was quite happy with the result, just the final glaze on the armour needed a bit of a tweak but the rest of the colour scheme was good to go. 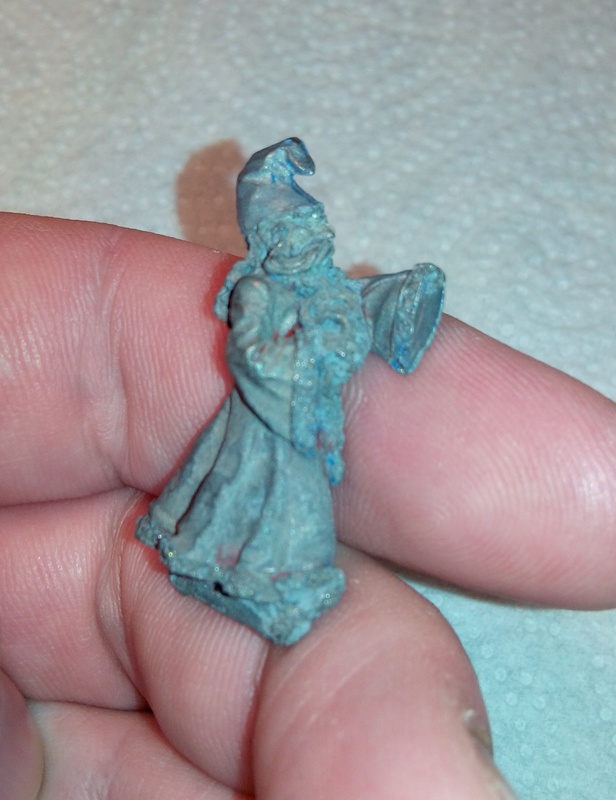 Extending the recipe out to the rest of the unit I loosened the glaze mix with Lahmian Medium to help tone down the glaze pigment to avoid the overly greeny finish that the experimental model’s armour had in places. They’re quite imposing as models, this is mostly due to their size though as they are massive in comparison to other horse mounted troops. 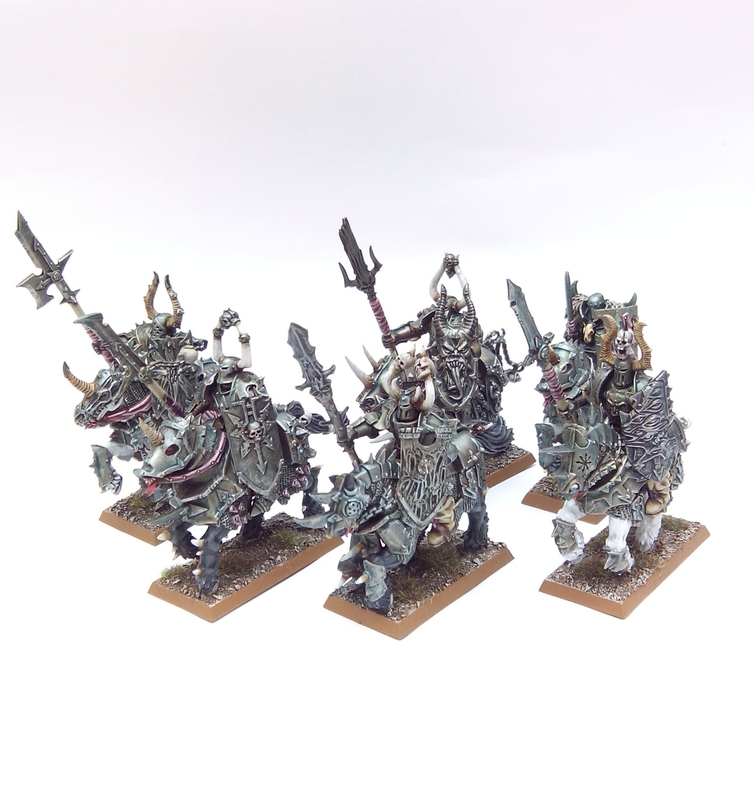 I only have another regiment of Chaos Warrior infantry and a Chaos Chariot to paint to complete my Chaos/Evil Warband. It could technically use some more Chaos Warriors but I think I’m going to call it a day after painting what I have rather than buying more to add to it. Hopefully I can paint these two boxes of models up well before the end of December which will mean I’ll have plenty of time for a few smaller painting projects before I start with my Nick Lund Orc Army next year – time will tell! 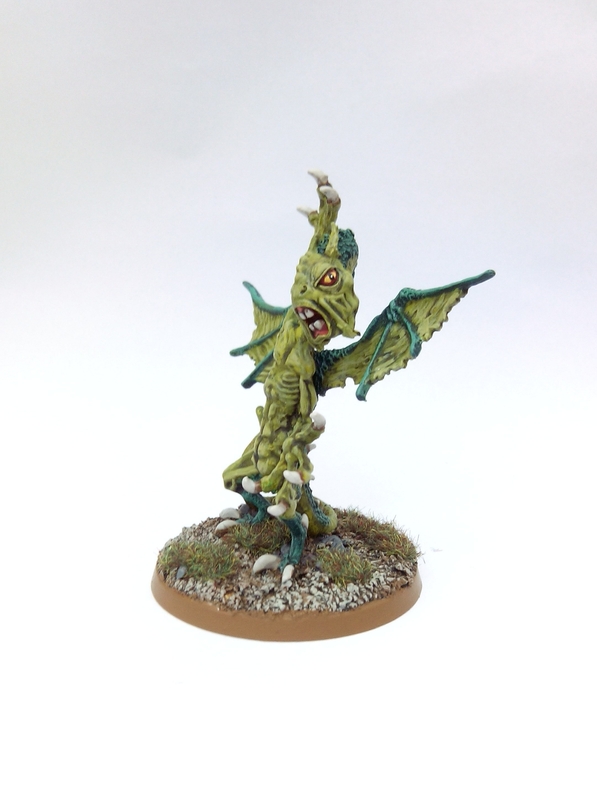 This entry was posted in Post-1990 and tagged Chaos Knight, Warhammer on August 9, 2015 by Hobgoblin Orange. I have to admit I’d never seen the original 1987 Robocop movie until a few weeks ago. I didn’t have high expectations for it so of course I wasn’t disappointed when I finally got around to seeing it on Syfy. Three things however struck me instantly while watching the ‘ED-209 Malfunction’ scene. Firstly was the animation of the ED-209. I was genuinely shocked by how poor it was. They really scrimped on this effect. This was a low budget movie but even so they should have cut out the ‘let’s test the big guns by exploding cars and shops’ pyrotechnic scene for example and used the money towards making the ED-209’s movement less comical. Secondly I couldn’t help but think that Kinney would probably have preferred a PowerPoint presentation. And finally it reminded me of the creator of the stop motion animation technique called ‘Dynamation’ – Ray Harryhausen, most of who’s work was world’s ahead of the similar techniques used in Robocop. 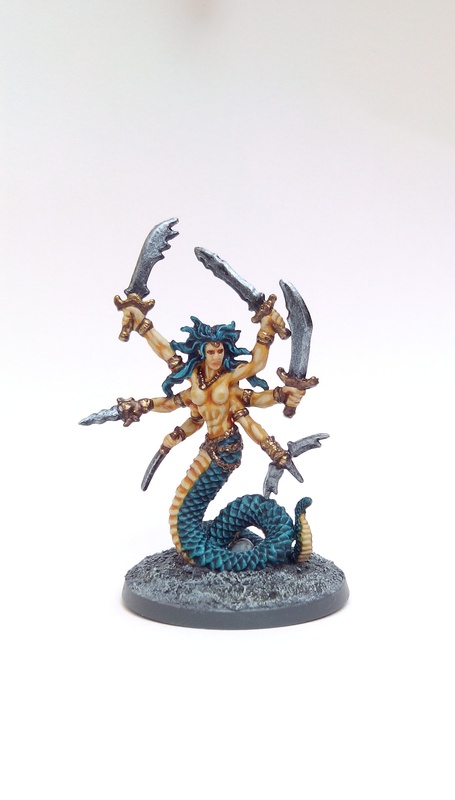 Last year I’d bought a Reaper Bones ‘Vandorendra Snake Demon’. This figure is the embodiment of ‘Harryhausenness’. 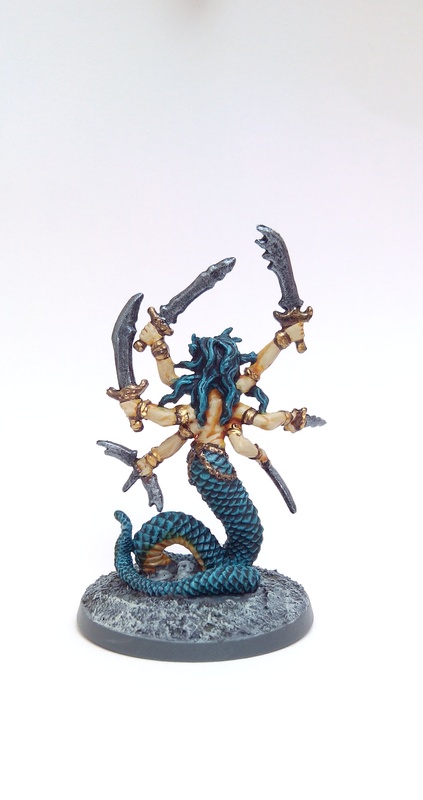 It’s a cross between Kali, the six armed statue in The Golden Voyage of Sinbad and the Medusa from the 1981 version of Clash of the Titans. 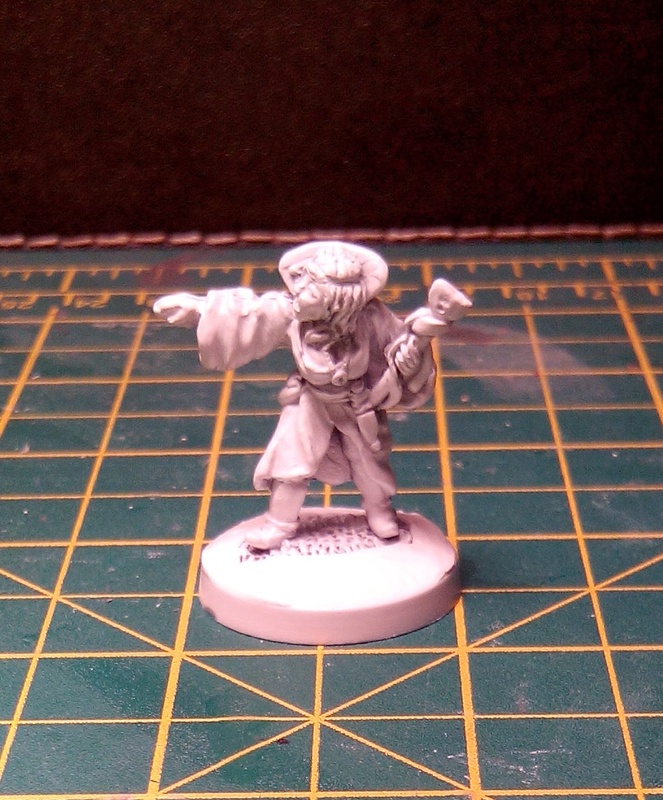 Anyway, it had lain forgotten and unpainted in my collection until Robocop of all things reminded me of it. Here it is finally painted up. 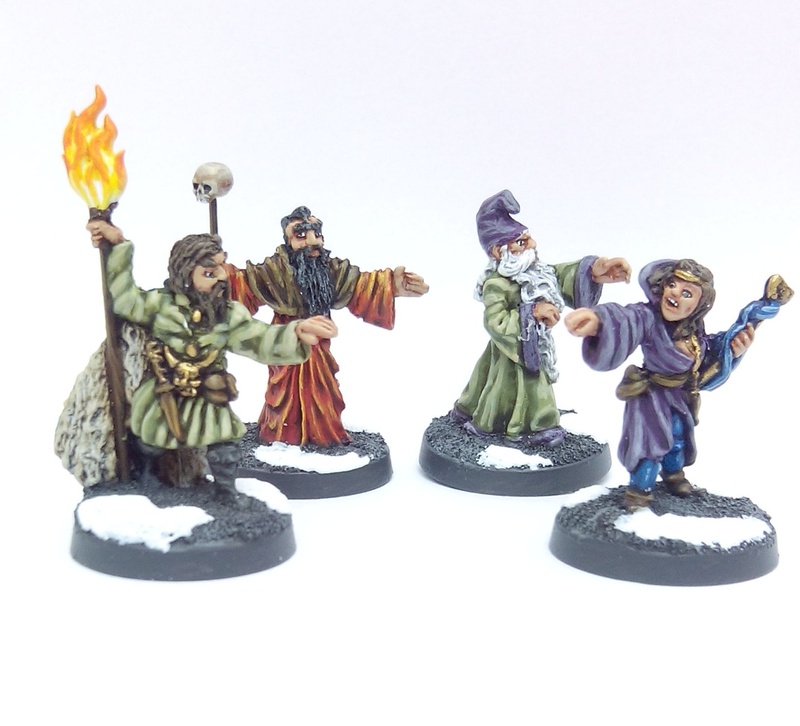 All the usual Reaper Bones problems reared their heads with this miniature but the more of these I’ve painted the fonder I’ve become of them. I’ve painted all I own now but wouldn’t think twice about purchasing more should any of the Bones figures meet my needs. 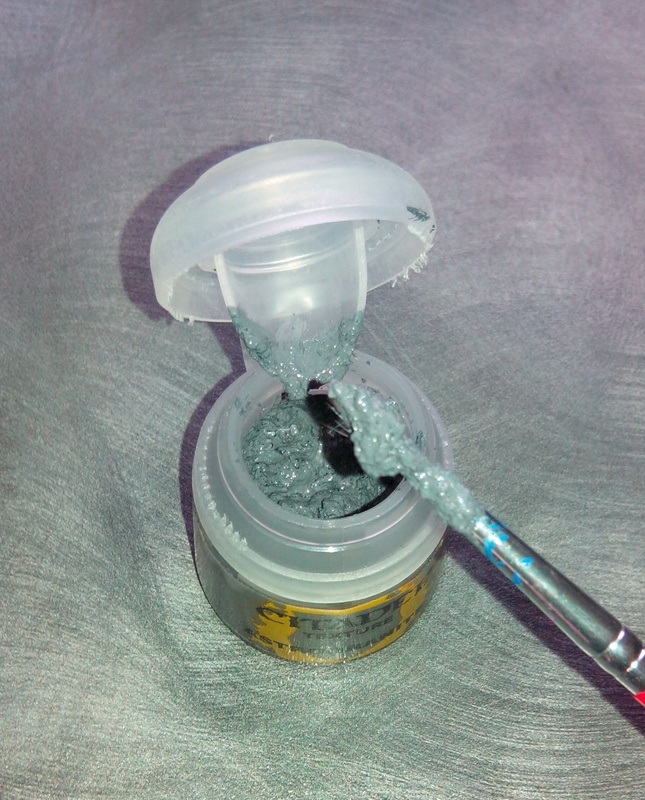 Last year I also bought some of the GW textured basing paints. I can only describe the textures of these paints straight out of the tub as akin to ‘gritty thick mayonnaise’. I find them difficult to use in this state as ‘blobbing them on’ is very hit and miss and it makes getting any texture close to the miniature’s feet etc awkward without covering them in the textured paint. They’ve sat in my box pretty much unused since I bought them. I decided on a stone type base for this Demon so I pulled the Astrogranite back out to give it another go. For those who’ve never seen them here’s how the textured paints look in the pot. I tried loosening the texture down with water so I could paint it on rather than dabbing it, but of course that dropped the grit out of the paint suspension. When that dried I went back to trowelling it on straight out of the tub. It appears I’m using this stuff correctly but I just don’t get why anyone would want to. Ho hum, I’ll just use PVA and sand as I’ve always done instead for a similar, much more controllable effect. 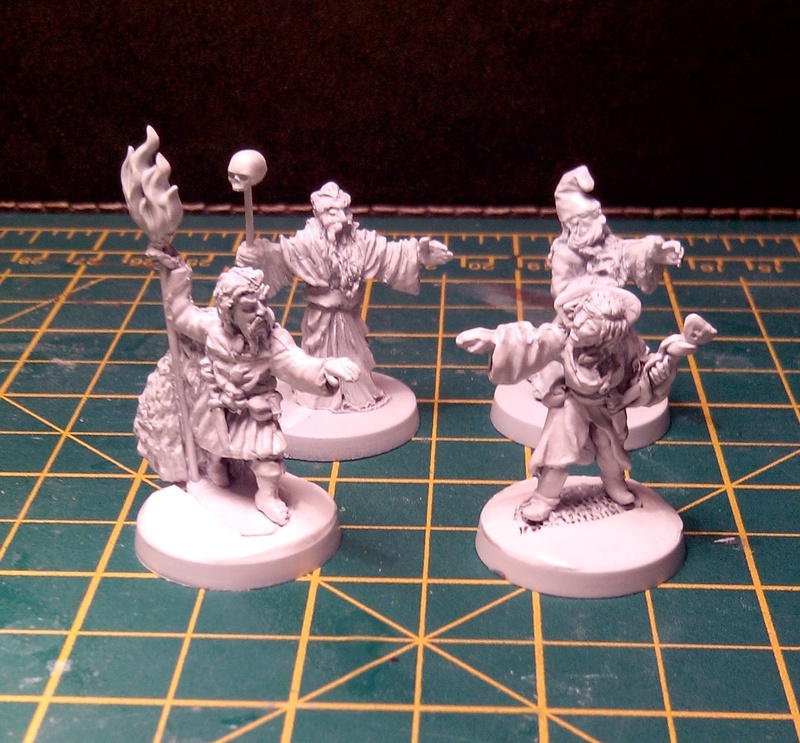 This entry was posted in Post-1990 and tagged GW Astrogranite, Reaper Bones, Snake Demon on August 1, 2015 by Hobgoblin Orange.